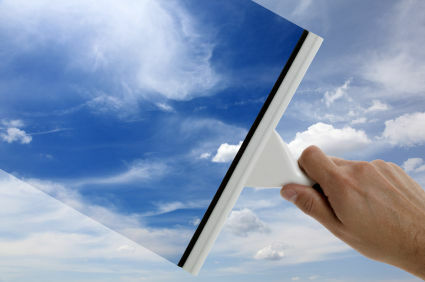 Spring is finally here, and there’s no better time to give your house – and your financial house – a good spring cleaning! If you want to improve your money situation and take control of your financial future, cleaning up your finances regularly will help you reach your goals, fast. Whether you need to overhaul your budget or want a better idea of your credit standing, there are several things you can do to get your financial house in order this season. 1. Review your credit report. Make sure your credit report is free of errors, check to see if you have any accounts listed on there that aren’t yours. Companies do make mistakes, and it’s your responsibility to make corrections when you catch them. Remember you are entitled to order one free credit report from the major credit bureaus each year. 2. Shred old financial documents. Sort through your statements, pay stubs, bills and other financial records and keep only the documents that are absolutely necessary. The IRS needs up to six years of financial records when they audit you, but you don’t have to hold on to every document. If you’re unsure about throwing away certain types of receipts, scan them or make a copy, then go ahead and shred! Reducing paper clutter can help you stay more organized and also put your mind at ease. 3. Record your financial passwords and store in a safe place. Make sure you’re not using the same password and login information for all of your online bank accounts and other financial accounts. Even though you might be logging in over a secure Internet connection, there’s still a risk that someone who figures out your password will attempt to access other accounts with the same login information. Protect yourself against identity theft by logging your financial passwords in a document and storing it in a safe place. 4. Review your budget. Is your budget up to date, or have you forgotten to make changes when you had an increase or decrease in income? Take a close look at your budget and see if you need to make any modifications. Make sure you are reporting expenses accurately and have made some room for savings account contributions. 5. Tally up outstanding credit card and loan balances. What does your current debt load look like? Spring is a good time to look at your total outstanding debts and see which loans or credit cards you could pay off entirely this year. Create a debt payoff plan and make the necessary changes to your budget. This is also a good time to check your credit limits. 6. Set up automatic bill pay. Spring cleaning isn’t only about decluttering, it’s also about making things more efficient. Set up automatic bill pay and link it to your primary checking account. Automatic bill pay will eliminate the chances of missing a payment and paying those pesky late fees. 7. Pay off holiday debt once and for all. Clear up your credit lines and pay off the purchases you made over the holiday season. 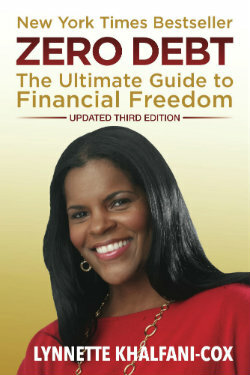 Put yourself on a stricter debt payoff plan specifically to pay off the debt you accumulated over the holidays. Cleaning up this debt quickly can put you in a much better financial position for the rest of the year!